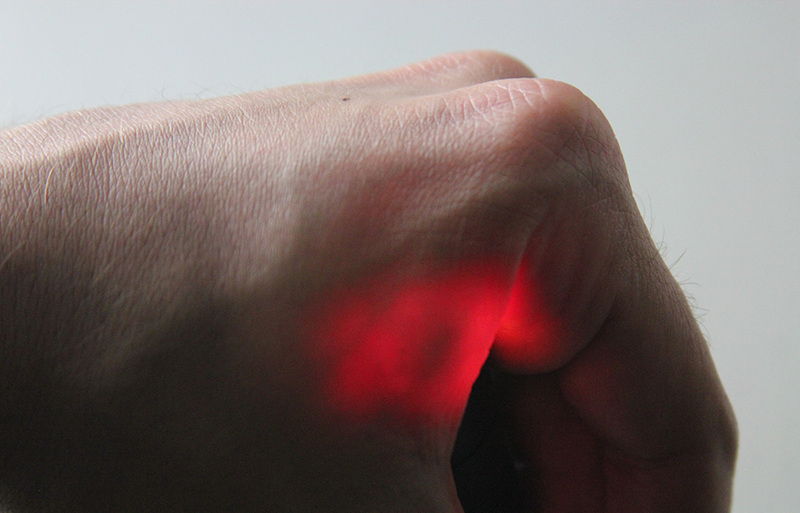 The project is a subcutaneous NFC chip implanted for use as a wireless storage device. The re-writable 1K chip contains an animated GIF file that can be accessed by compatible smartphones, tablets, card readers and Arduino devices. Poland Spring bottled water infused with Power Balance Bracelet. Available exclusively online. 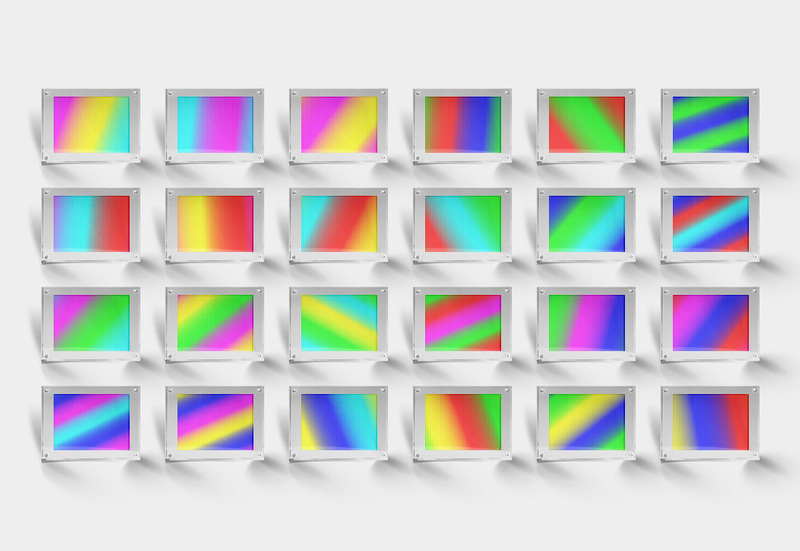 CMYRGB is a series of 24 gradient color combinations which exist simultaneously as digital files and physical objects. 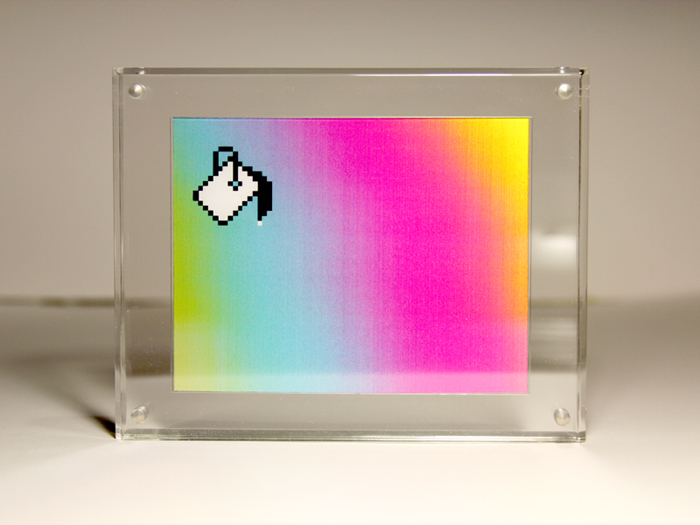 The digital versions are looping 3 second GIF animations, while the physical counterparts are lenticular prints suspended in Lucite enclosures. 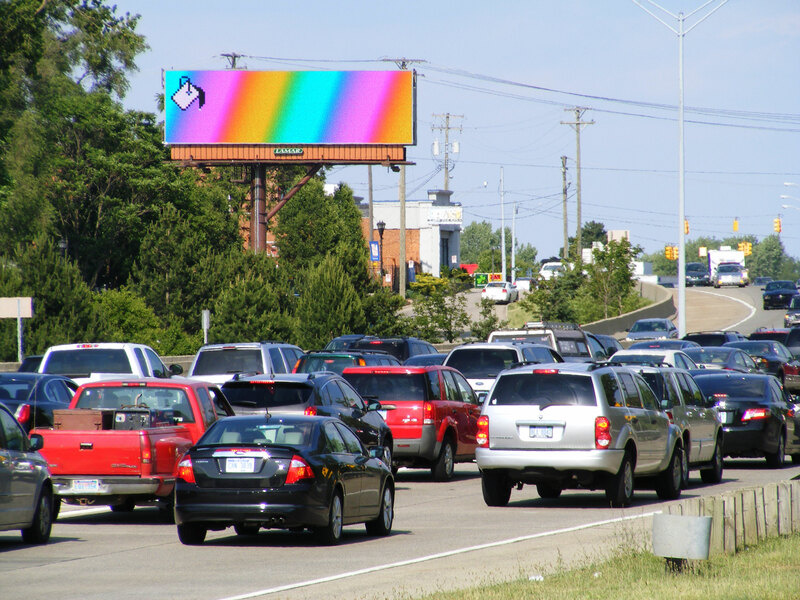 The gradient palette is based on the subtractive and additive color systems cyan-magenta-yellow and red-green-blue. Impulse 101 is a diptych, half painting/half projection, 100% on the internet. The work begins with the 4 foundational font characters of 8-bit Block ASCII, ░ ▒ ▓ █. It consists of two 100 x 100 cm canvases. The left (black) side is acrylic on canvas, while the right counterpart is a video projection of ASCII art animations utilizing real and faux copy paste glitches in MS WordPad. Installed at the exhibition We outsourced everything and now we're bored. at L'Atelier-Kunst(spiel)raum, Berlin. A series of two-dimensional brightly colored geometric shapes around a heavily graffitied pedestrian tunnel in Erfurt at the corner of Stadtring.